Windows 10 have very fancy start menu, you can just drag and resize the start menu by taking the cursor at the edge and dragging it around to enlarge or compress. 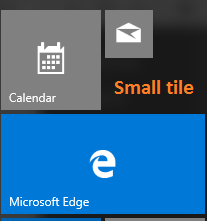 But do you know how to resize tiles in windows 10 start menu. 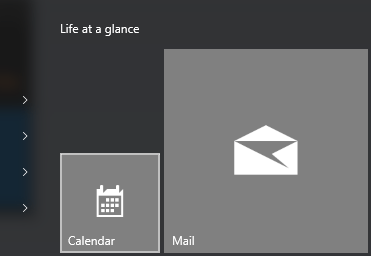 Windows 10 have given option to resize start menu to small, medium and large. Follow the screenshots below to find out. Click on the start menu to open it. 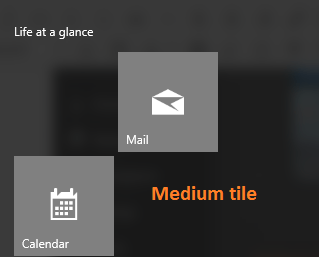 Now, right click on any tile to open the resize menu. Select any option to change it to the relevant shape you wish for. Below are the screenshots of how they will look in small, medium and large settings. 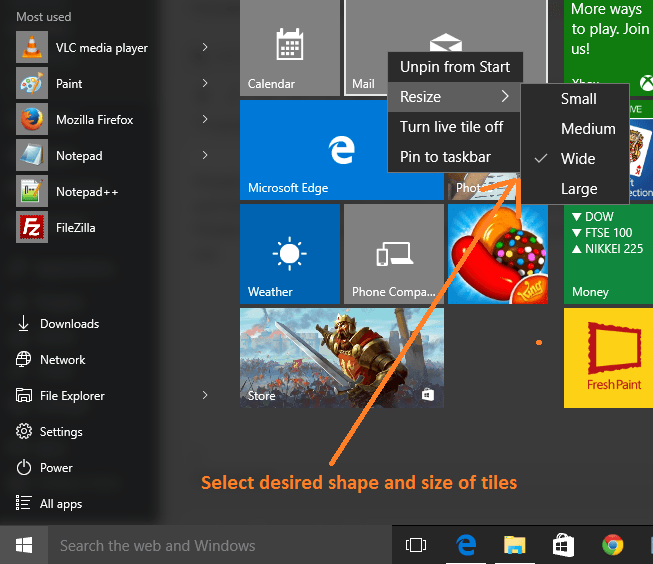 Thus, by this easy way you can customize the start menu tiles in windows 10.